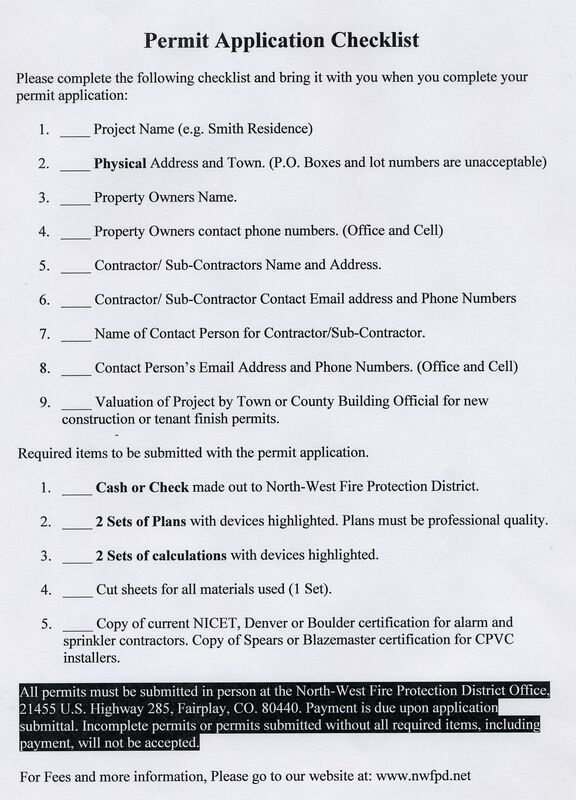 North-West Fire Protection District is responsible for enforcing International Fire Code regulations governing construction activity within the District’s boundaries. In addition to receiving, reviewing and conducting inspections for construction applications, we also maintain a robust educational and public-outreach program that includes wildfire mitigation walk-through, home safety survey, juvenile-firesetter education, fire-extinguisher training, school programs, presentations to civic organizations, businesses and neighborhood groups, and other activities. If you are interested in outreach or educational programs please email your inquiry to chief@nwfpd.org. 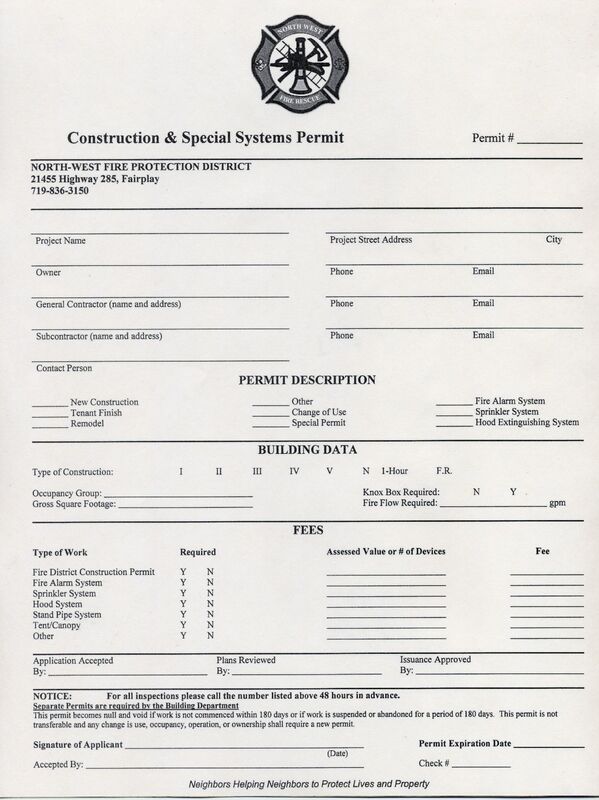 For any permit or application-related questions, please contact us at 719-836-3150. To view PDF files, you may have to install Adobe Reader which is a free download at: get Adobe Reader.